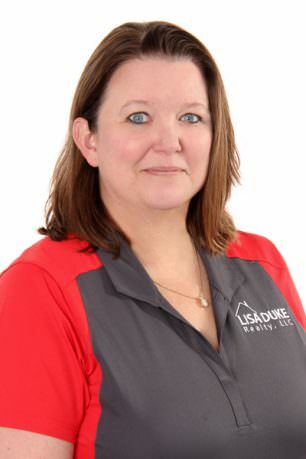 Ronne Williams is one of the newest members of the Lisa Duke Realty team, and we feel lucky to have her onboard! Jacksonville has been her home almost her entire life, having found this beautiful city when her father was stationed here in the late 70s. She attended Douglas Anderson School of the Arts as a dancer, and later toured Europe and Russia on a goodwill tour with her dance team. After high school, she studied at University of North Florida, earning her degree there. Northeast Florida is her home and she is proud to live and work in this wonderful community. Ronne has been working in real estate and property management for 4 years, but has been serving people for almost 15 years. Prior to getting her real estate license, Ronne worked for an insurance company in customer service, and additionally as a trainer. The skills and understanding in that job prepared Ronne to be an excellent real estate agent, as she saw first-hand the benefit and success that comes from a fully informed and well-prepared customer! Ronne has determined that her purpose in real estate is to help the people she works with find the home that is just right for them, and is committed to ensuring that her customers are educated and informed throughout the entire process. No surprises on Ronne’s watch– she wants each person she works with to feel confident in their decisions. She says that confidence comes from explaining the process and maintaining top-notch communication every step of the way. She is with you from day 1, and will be right by your side at the closing table! When she isn’t busy working, making your home ownership dreams a reality, she is most happy when spending time with family friends. She is a certified SCUBA diver and loves exploring the depths of the ocean! If you are looking to find a home and ready to take the next step, give Ronne a call! She’d love to help you find the home that is most ideal for you! !